Slices to any predetermined width that you require for your application. Simply place your pineapple on the cutting grill and pull down the handle. 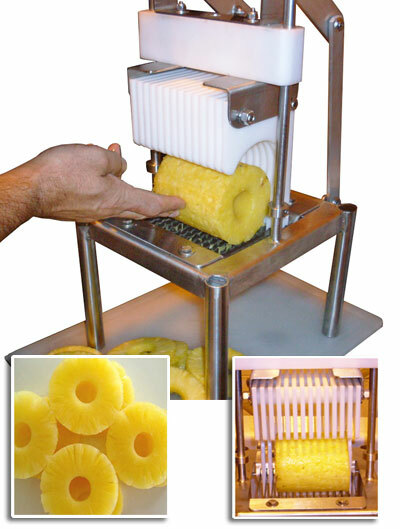 Serrated holding strips and cutting knives keep the pineapple secure and the cut clean and sharp.